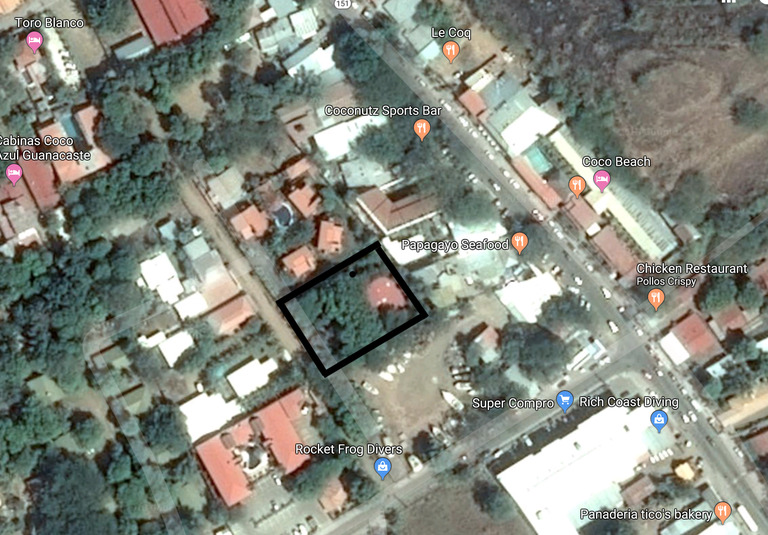 Excellent building opportunity in the heart of Downtown Coco. Just steps from the bustling main streets, this 1840.42 sq mt (19,810 sq ft, .45 acres) lot has a myriad of possibilities. 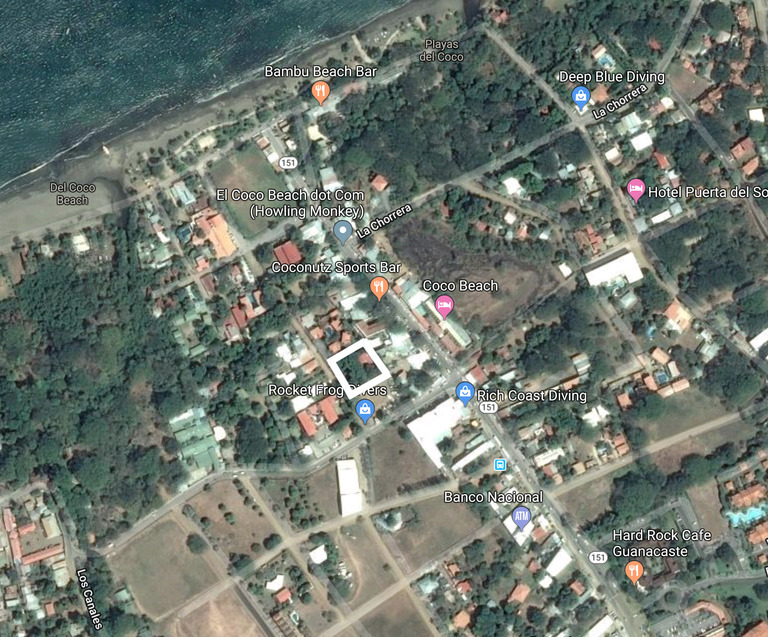 Just blocks from the beach, this could be the perfect location for a boutique hotel, guest cabinas, restaurants, store fronts, etc. ; the possibilities are endless. Water and electric are already in place for this prime building site. 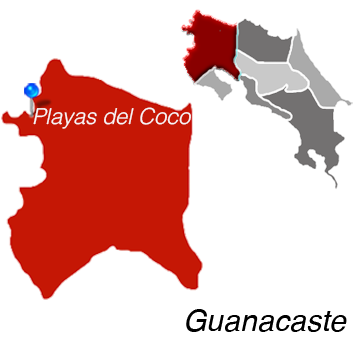 Playas del Coco is less than 30 minutes from Daniel Oduber Quiros International Airport (LIR) making this an ideal tourist destination. 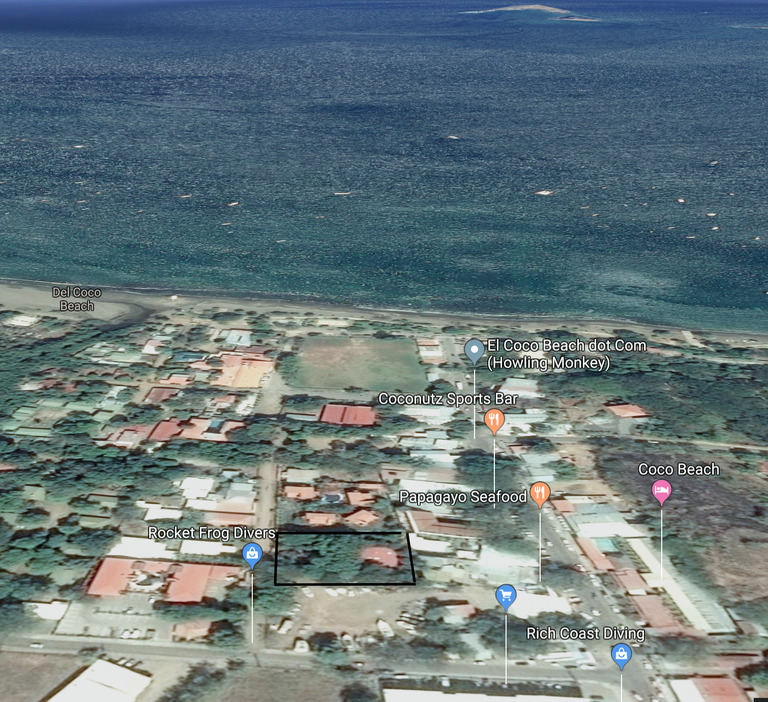 This lot is conveniently located to shopping, dining, nightly entertainment, beach and water activities.